“Sometimes, when you have seen a movie, you may want to buy the book…” These were the first lines that I read when I was gifted an illustrated copy of Anna Sewell’s Black Beauty, when I was still a young child. Black Beauty is a beautiful novel, yet what I intend to focus is the relationship between books and movies. There is little doubt that a movie adaptation of a book is a surefire way to generate additional sales. It is not uncommon for the sales of a book to see an upward surge after a movie has been released. Likewise, the same motion picture enjoys a pre-interest and recognition buzz, thus providing the marketers with additional campaign material. In 2010, the printed books were bolstered by the release of books like Mockingjay and a domino effect from movie sustained titles, such as The Girl with the Dragon Tattoo and the Twilight Saga. Also, the film adaptation of the Hunger Games had been announced in March 2009, which may or may not have contributed to the initial sales for Mockingjay. 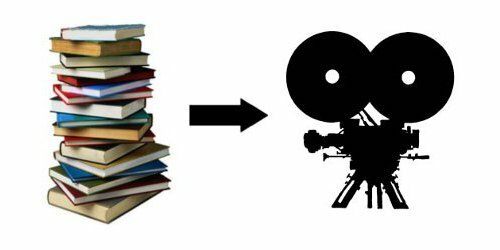 The relationship between movies and books brings forth many benefits for different parties. Some instances can be taken up, such as brand formation and the subsequent identification of the players involved with the brand. Think of Tom Hanks as Professor Robert Langdon of Dan Brown’s works. Or Heath Ledger as The Joker. The publishers and booksellers benefit massively from this, as the booksellers begin to restock the title and promote it along with the existing film publicity. The publishers release the movie tie-in editions, typically in both trade paperbacks and mass-market formats. So, there is usually a boom for most of the parties. Jason Bourne by Robert Ludlum: 1980 edition; 2000s edition; movie tie-in edition featuring Matt Damon; current edition featuring expansion of universe by Eric Van Lustbader. Today, there is an increased overlap between the content platforms and the media forms. Few content forms are exclusive to one type of form, as there is always a business desire to create a brand and milk more from it. Movies are a proven trigger, but what about games, apps, TV shows? Can there be a consistent symbiotic relationship or a crossover from books to games or vice-versa? The relationship between books and the other forms of content is murky, at the best. I’ll be exploring this further in the next part of the series.